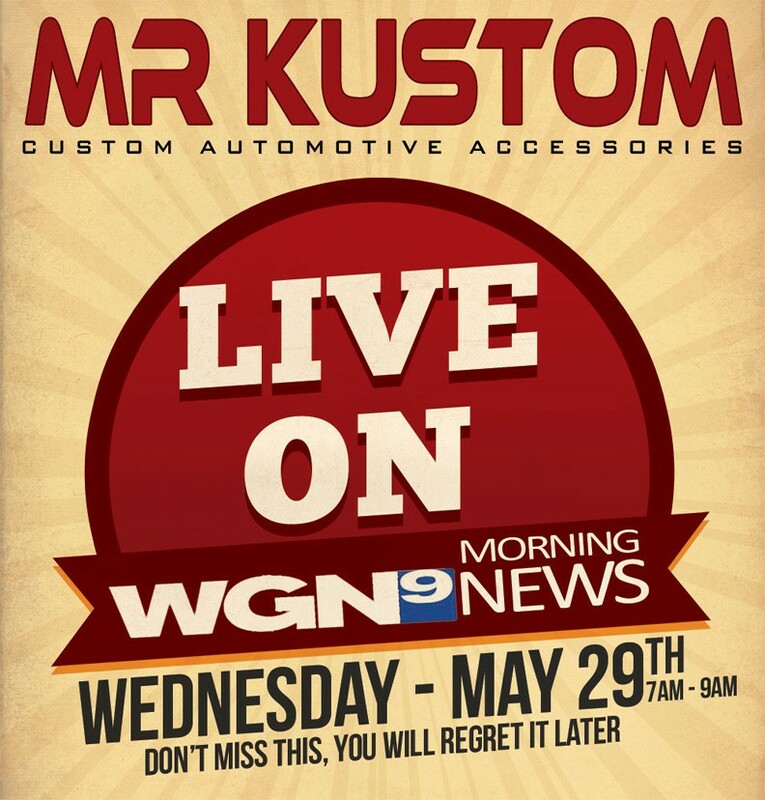 WGN Morning News will be featuring Mr. Kustom in Chicago on May 29th from 7am – 9am. Be sure to check us out LIVE on the “Around Town” segments. Mr. Kustom will be on LIVE with WGN Morning News showcasing some of our hot products, pure horsepower, halo lights and much more! We’ll be on from 7am to 9am that day, so be sure to check us out as we show off creations we have built. If you’re in the area and would like to see all the action, please stop on by and be part of our show that morning. This entry was posted in Blog and tagged Around Town News, Chicago Custom Car Shops, Custom Car Shops, Custom Motorcycle Shops in Chicago, WGN Morning News. Z06 Corvette Carbon Fiber Wrap, Halos, Corsa Exhaust, Kooks Headers and more! 2011 Custom Camaro SS Sub Enclosure with LED Lighting, Halos and more!